Looking to control some shades with Z-Wave? Worthington Distribution has a solution using a Somfy standard, 4-wire, AC motor with Zipato’s Micromodule Motor Controller. This article will walk you through the shade installation as well as how to add the shade to your Fibaro hub. It’s recommended that you have your electrician run an AC wire to the left side of the window. Although a bare wire with wire nuts can be used, to pass inspection, the electrician will likely need to terminate the AC line. If there’s no room for a standard outlet, your electrician can install a Sillites self-contained receptacle, SILSCRW. Please note: Z-Wave is an RF communication. If your shade has a metal fascia or a cassette, make sure that the antenna of the micromodule is outside of the metal to ensure optimal Z-Wave communication. Open the Fibaro interface in your web browser. Check the box for “Add in security mode if device supports it” and then click the Add button. Give the module approximately 60 seconds to complete provisioning before proceeding. 1 If the micromodule has already been powered or was part of a previous Z-Wave network, you will need to perform an exclusion with the Fibaro hub. Follow the steps above to get to the Add or remove device screen. Scroll down the page and click on the Delete button. Then quickly press the button on the micromodule three times. You will then need to press the button on the micromodule three times while on step 5 of these instructions. 2 If the shade runs in reverse, power down the micromodule and swap the red and black wires coming from the motor. Make sure to re-apply power once the wires have been swapped. 3 If the limits need to be adjusted, refer to the shade fabricator’s or the motor manufacturer’s instructions. Once you’re certain that the directions and limits are correct, you will need to calibrate the micromodule to the shade. To do so, press and hold the button on the micromodule for 3-5 seconds and then release it. The shade will move up and down several times so that the module can learn its upper and lower limits. Repeat these steps for any additional shades and micromodules you would like to control. You will now have full control of the shade with your Z-Wave controller. To confirm, press Open, Close, or move to % to verify that the treatment now moves to this position. Posted by: Worthington Technical - Wed, Jul 12, 2017 at 1:11 PM. This article has been viewed 1939 times. 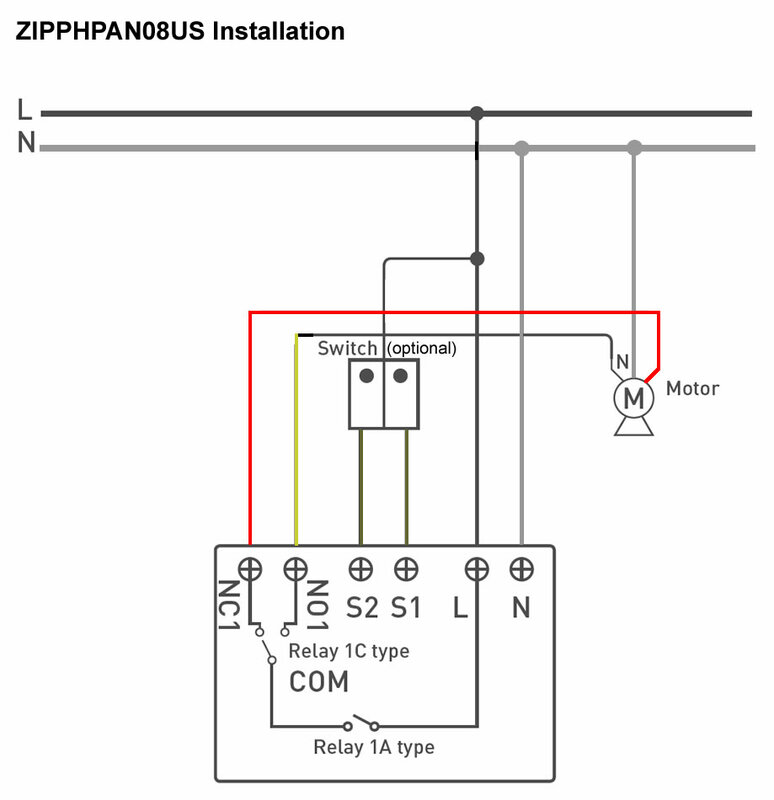 Creating a Virtual Thermostat within the Zipato interface. Zipato Z-wave Water/Gas Valve Controller and water sensing.